Puerto Banús is one of the most famous places on earth. It is absolutely buzzing with life in the countless bars, restaurants, shops and clubs of an exclusive nature. People that buy property in Puerto Banus can be sure of one thing: demand will always outstrip supply. Originally a sports complex, Puerto Banús is today one of the best-known locations on the Costa del Sol. Created at the end of the 60s, over the years it has become one of the world´s most desirable location for luxury property. 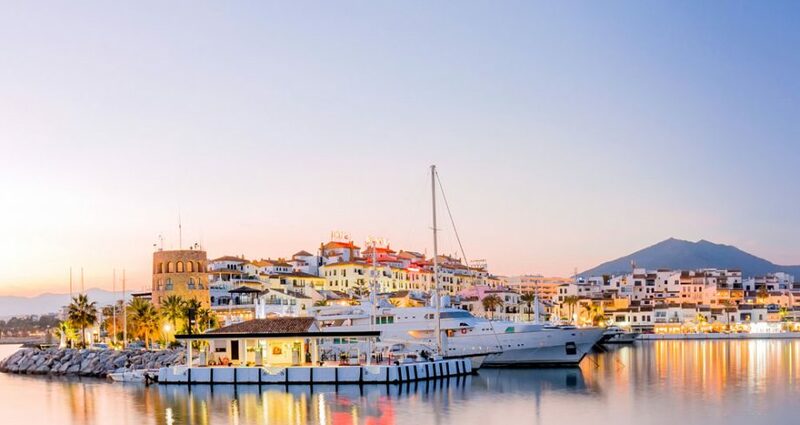 Nowadays Puerto Banus is characterized by its designer boutiques, excellent restaurants and port with numerous luxury yachts and magnificent villas. Either side of the port there are beaches which offer all kinds of amenities and services to visitors and residents. Whether you prefer sophisticated surroundings, a lively or relaxed vibe, on holiday or a permanent resident, there’s something for everyone. 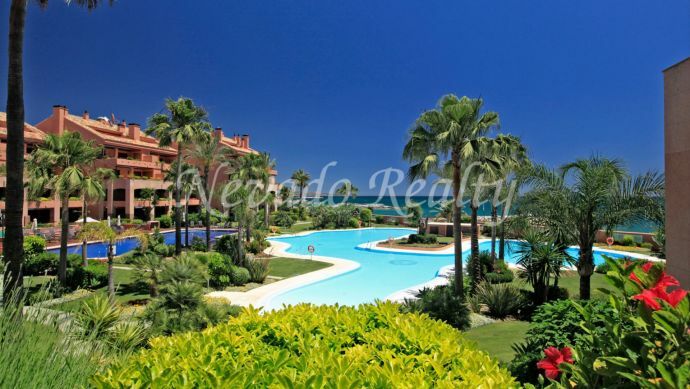 The most sought after developments in Puerto Banús real estate are Los Granados, Playa Rocio, Marina Banus, Tembo, Las Terrazas de Banus, Jardines del Puerto, Playas del Duque, Las Gaviotas, Medina de Banus, Andalucia del Mar, Benabola and Villa Marina. Moreover, Puerto Banús property owners will never have a problem finding guests for holiday rentals. You are guaranteed a steady stream of rental income and the peace of mind that comes with it. 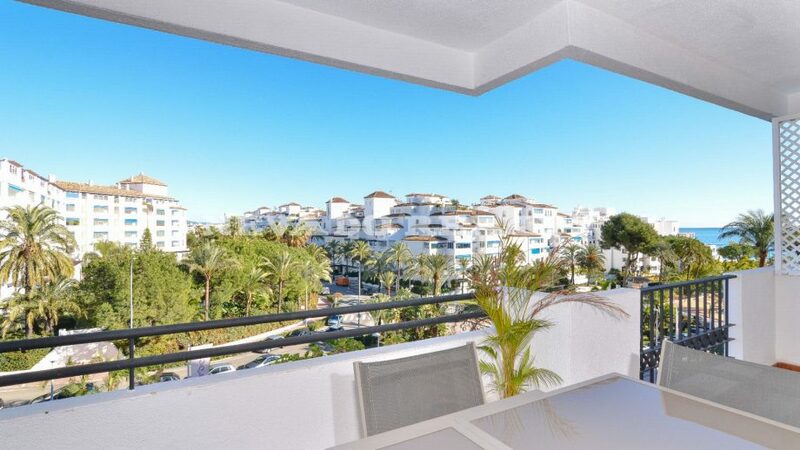 Like this newly renovated apartment with 2 bedrooms and 2 bathrooms in one of the best located residential complexes of Puerto Banus. It is located just a few minutes walk away from the beach along a beautiful palm tree avenue and at a short distance from the marina, shopping centres, restaurants, beach clubs and boutiques. The beaches of Puerto Banus run either side of the harbor, and both have new promenades – one goes all the way to the town of San Pedro, and the other all the way to Marbella. The Puerto Banus beaches here are soft and golden and are prime real estate locations for anyone wanting to buy a beachside apartment or a luxury villa, close to all the action. 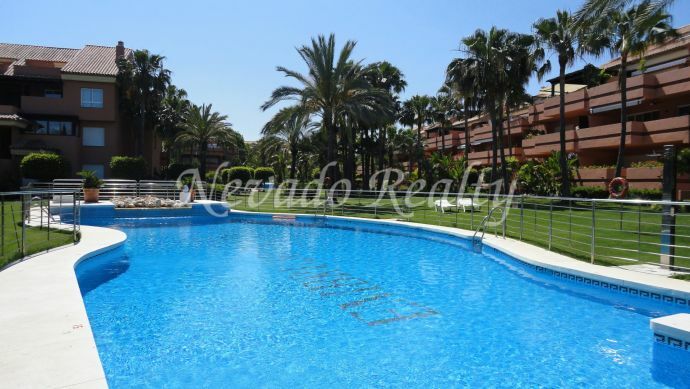 Check out our latest properties for sale in Puerto Banus!